At 10am PT on January 31, Meeting of the Minds will host a live webinar featuring Matthew Hudson of Transport for London and Boris Karsch of Cubic Transportation Systems. Delivering mobility solutions to citizens in a time of increased urbanization and rapidly evolving technology is a challenge to many city leaders. The digital transformation of mobility services through mobile applications, for example ride sharing, bike sharing and other shared mobility services, has shown widespread success in the marketplace. Moreover, the anticipated emergence of autonomous vehicles and mobility-as-a-service delivery models will create more challenges, and opportunities, for city leaders in the medium to long-term. This webinar will explore the specific challenge of creating payment systems for public transportation that can be responsive to this new marketplace, while also ensuring the equitable delivery of new services to all citizens. Our discussion will draw from the experience of Transport for London and Cubic’s work with cities globally. Having qualified as a chartered accountant with Ernst & Young in 1997, Matthew went on to work on several Private Finance Initiatives in the IT environment on both the client and supply side. In 2001 he began a varied career at London Underground and then Transport for London. This has covered financial and commercial transactions on London Underground’s telecommunications and power networks, line extensions and station redevelopments. In 2010 he joined the Customer Experience team and has led the £1bn procurement of the Fare Collection Services contract, commercially exploited TfL’s fare collection system software in transport markets outside of London, led the ticketing requirements for the London Olympics, assisted DfT, TOCs and Transport Authorities formulate future Fare Collection strategies, acted as policy lead for fare collection in Europe. 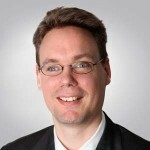 Boris Karsch is the vice president, strategy for Cubic Transportation Systems. He leads the execution of Cubic’s NextCity vision for the integration of payment and information systems with direct responsibility for strategy development, partnerships and acquisitions. Previously the capability development director for Cubic’s worldwide organization, Boris was responsible for Cubic’s research and development programs including Cubic’s Urban Insights data analytics capability. 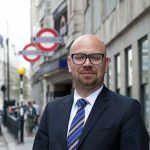 Boris brings over 15 years of experience in leading product strategy and development in electronic payments and transaction systems. Boris has a bachelor’s degree in electrical engineering with Honours Class 1 from the University of New South Wales, Australia, and an MBA from the Australian Graduate School of Management.